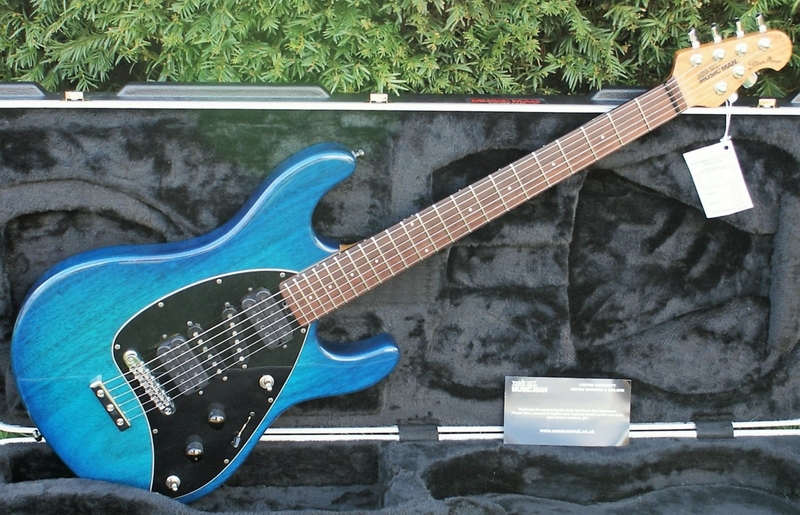 What a beautiful instrument here to behold! 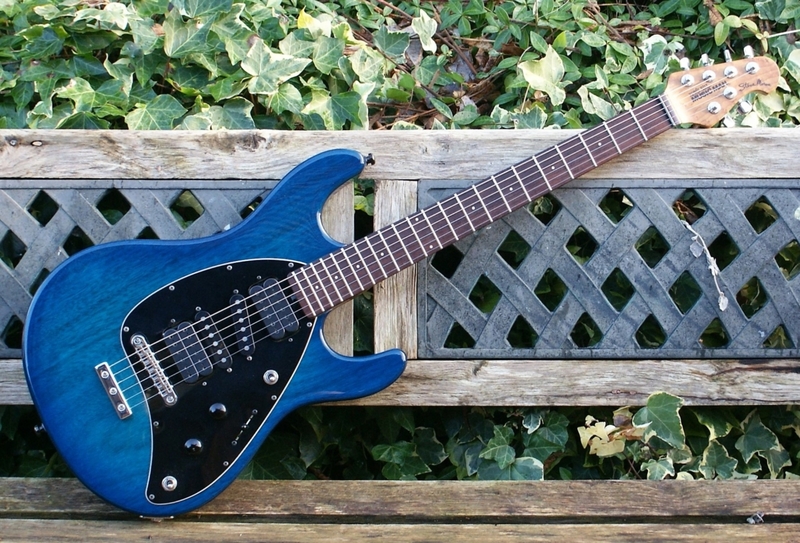 This is a stunning & pristine 2014 Limited Edition, EB Music Man Steve Morse Signature guitar. 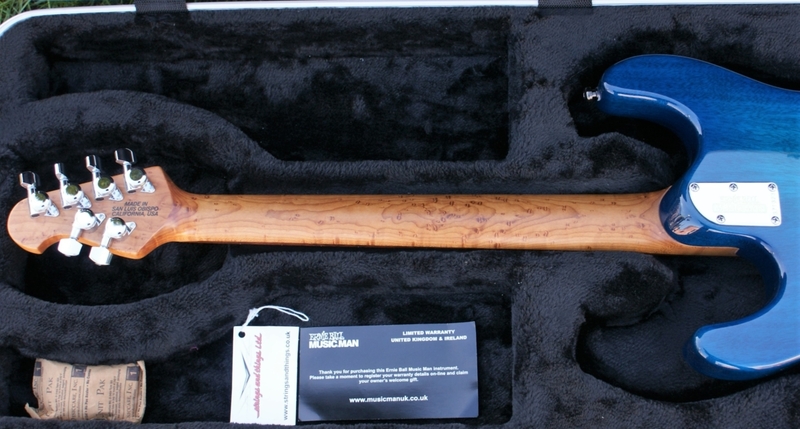 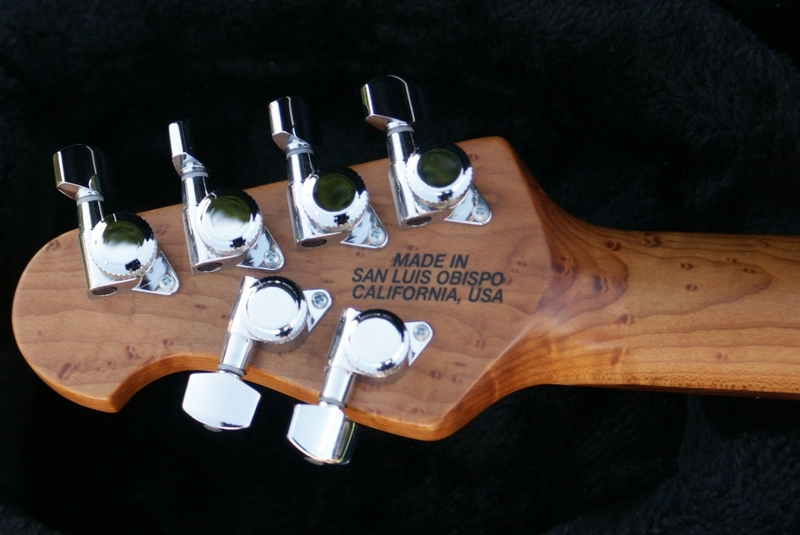 This is a limited run model featuring a Roasted Maple, figured Neck & Headstock. 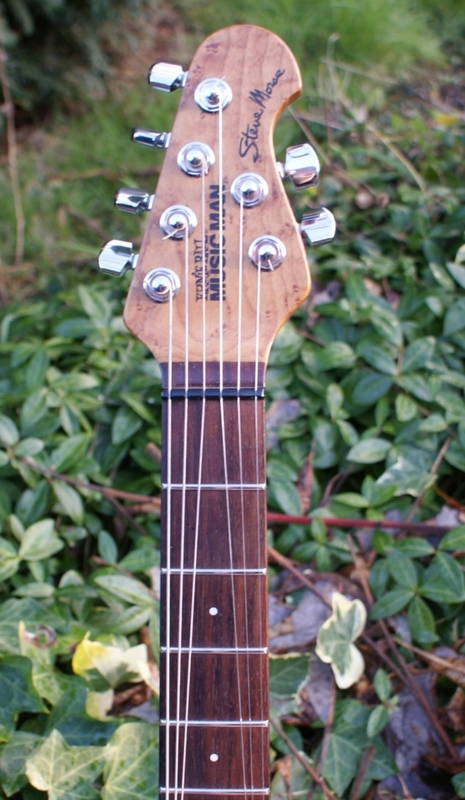 This beast of a guitar has barely been out of its case & hense is mint condition. 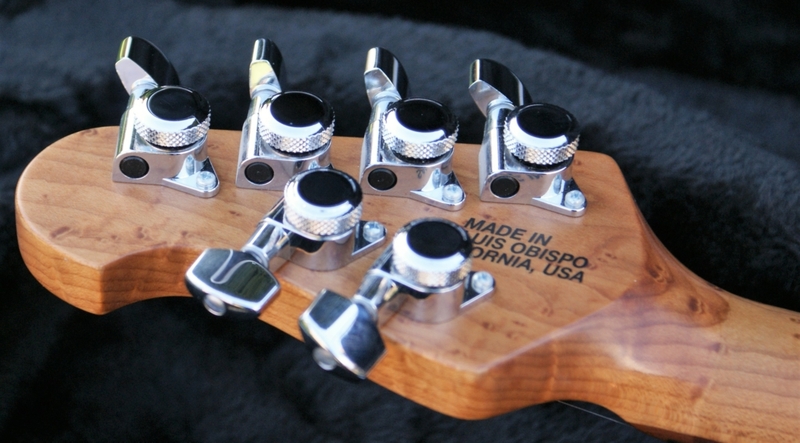 The action is fabulous & the HSSH pup config really gives you freedom to create whatever tone/output you desire! 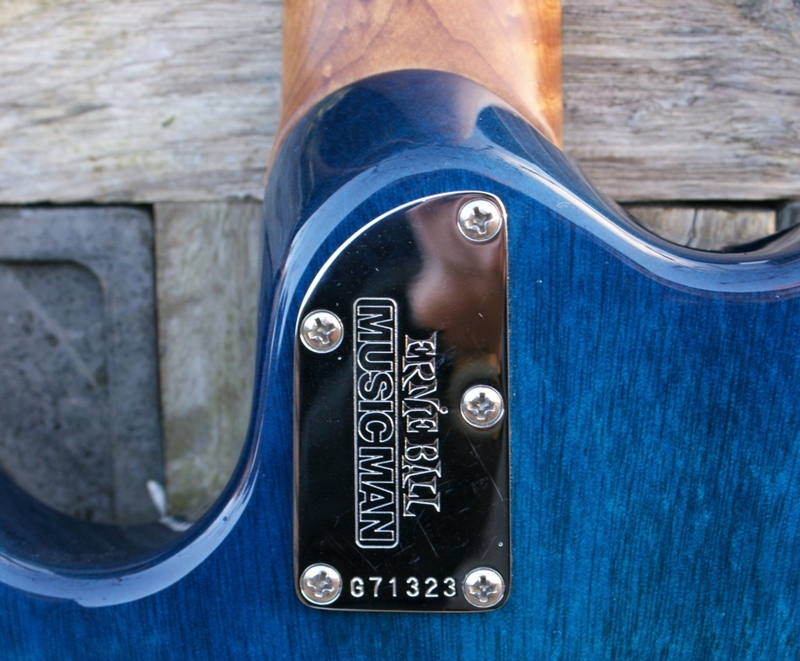 The Stainless steel frets are perfect with zero wear. 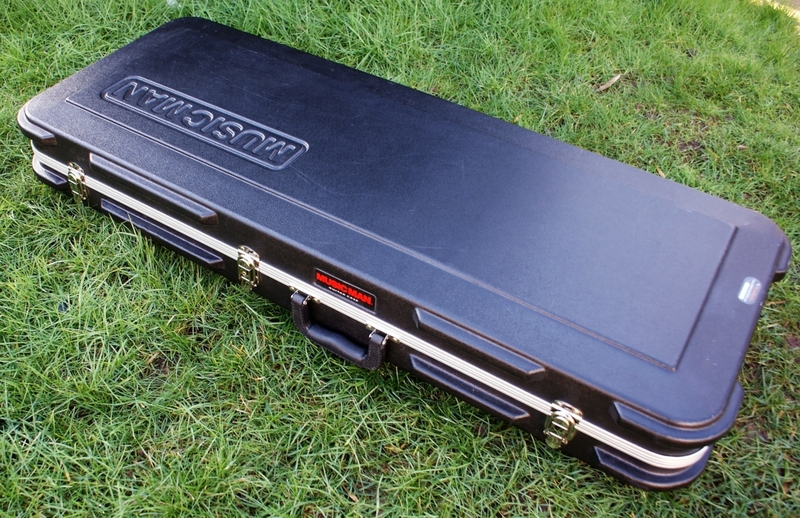 All this is wrapped up in its original hard-shell case. 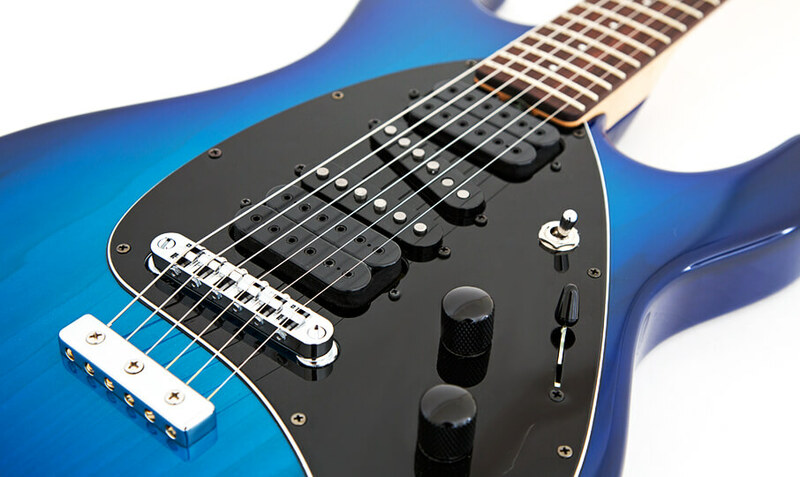 Please see the featured video Showing Steve Morse personally demo this model in full. 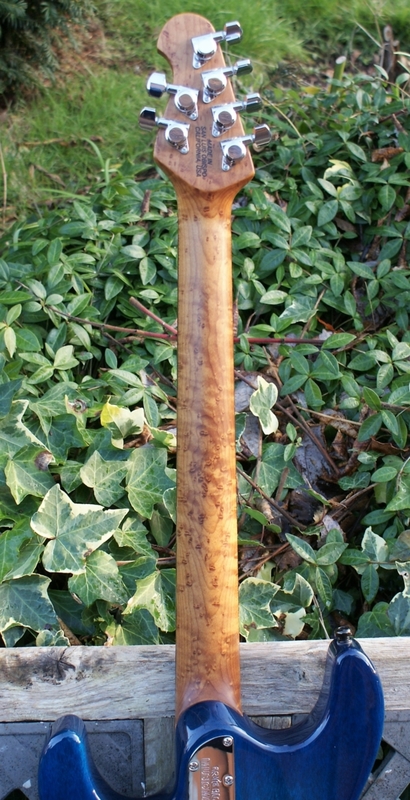 You will not come across a cleaner used piece like this, so don’t let it slip away! 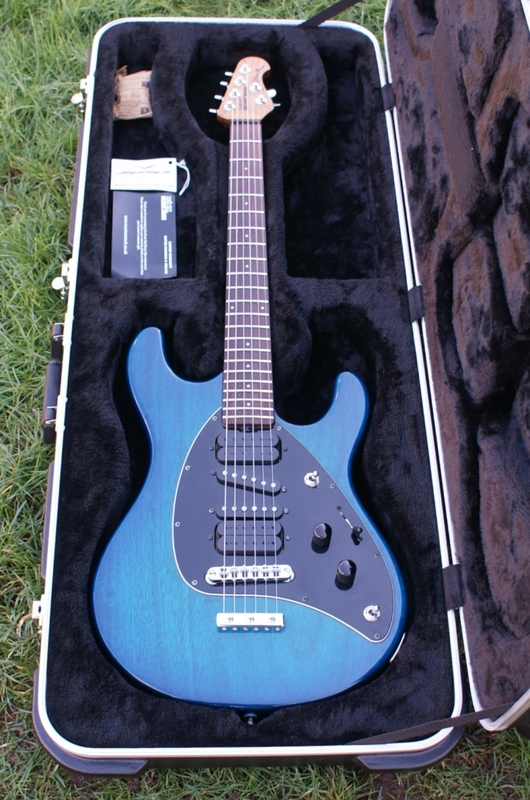 Widely regarded as one of the most versatile and reliable guitar players in the music industry, any guitar bearing Steve Morse’s name as a signature model would have to live up to that legacy. 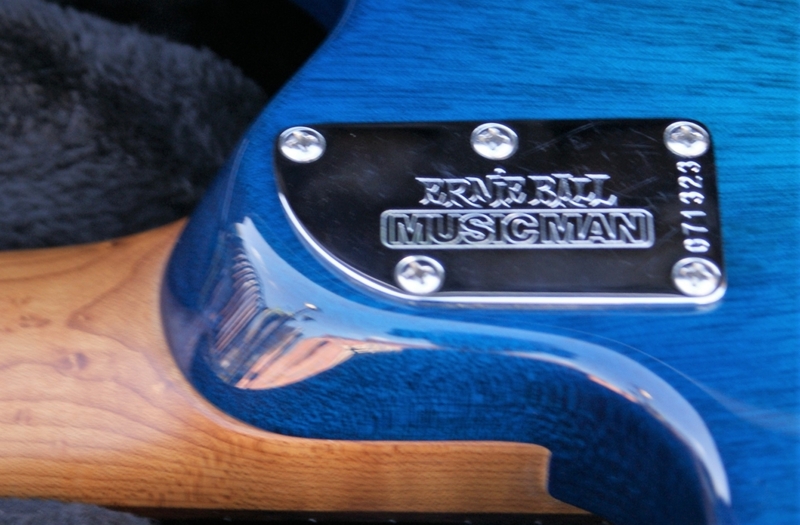 And that’s exactly what this fantastic guitar does! 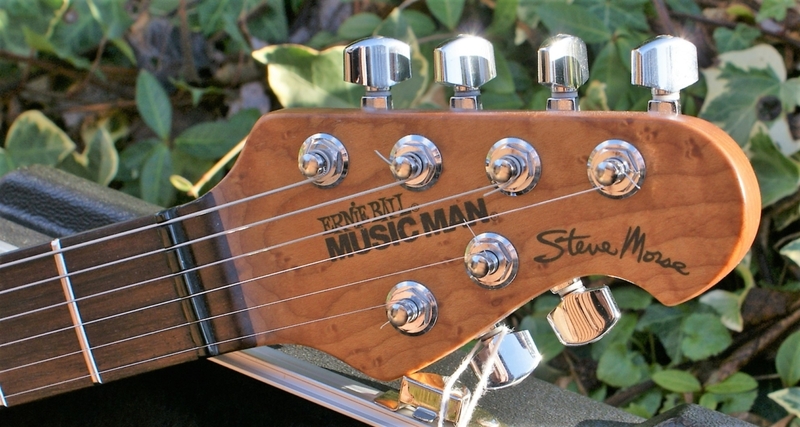 Made to Steve’s Exact Specifications! 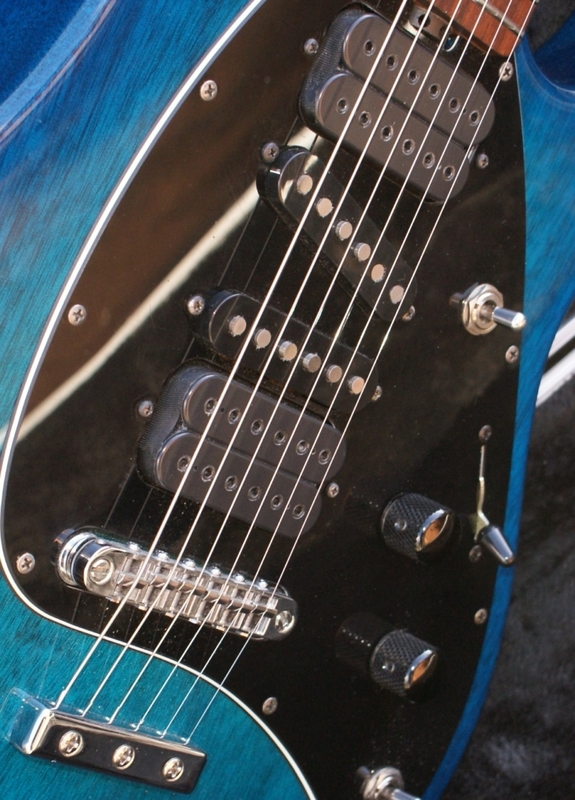 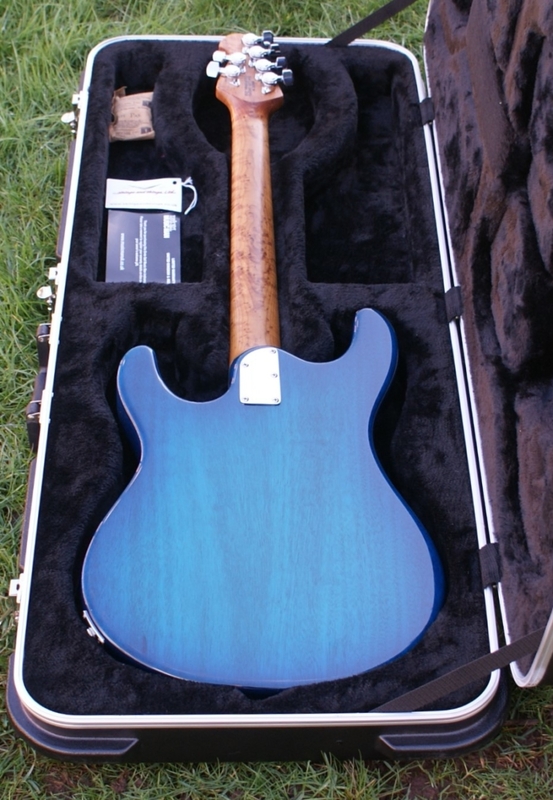 Featuring an incredibly lightweight Poplar body, with a double-cutaway design, figured ‘Roasted’ Maple neck, four custom DiMarzio pickups (with intuitive switching layout), and a stunning Morse Blue Burst finish, this versatile guitar has been Steve Morse’s instrument of choice, both in the studio and when performing on stage, for more than 25 years! 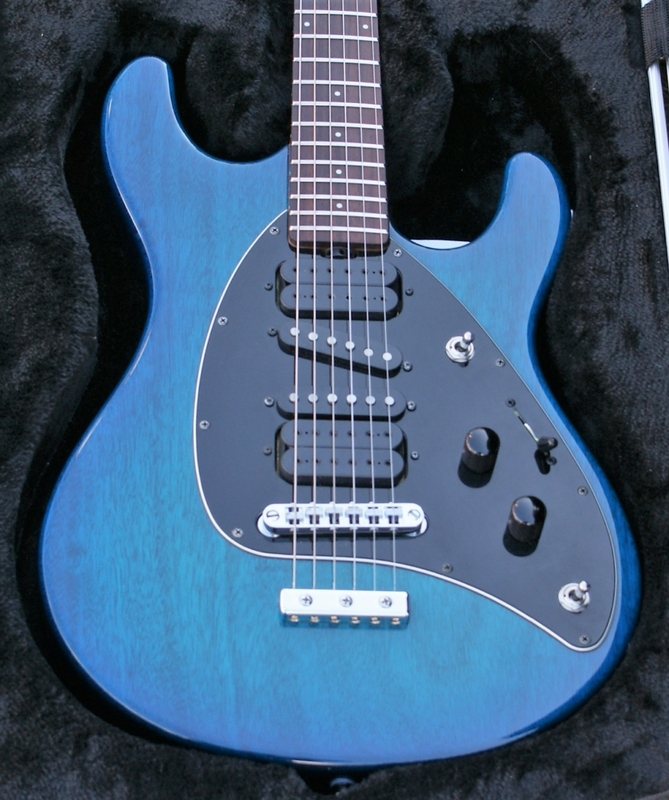 The comfortable, lightweight, and sonically versatile nature of this Steve Morse signature guitar came together with one goal in mind: to design a guitar that you could happily wear and play over long periods of time, without the need to change for an alternative tone. 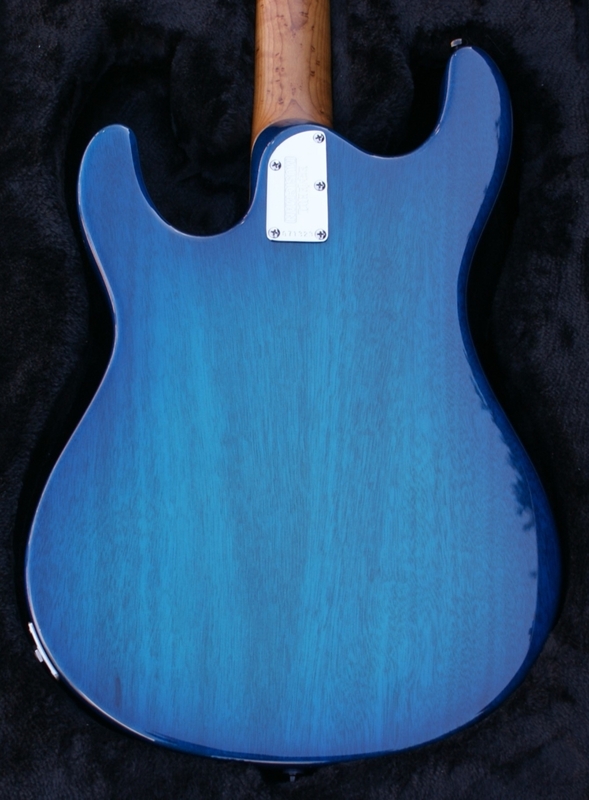 This is achieved by combining a lightweight poplar body, solid figured mahogany neck, and four custom DiMarzio pickups (two humbuckers, two single coils) with a high-grade switching system that gives you a total of 11 different pickup combinations to choose from!